Updated: When the North East Independent School District Trustees meet on Aug. 10, teachers and staff from the district have a First Amendment right to participate in the public discusion about whether to rename Robert E. Lee High School, according to the American Civil Liberties Union of Texas. The ACLU said NEISD trampled on the First Amendment rights of teachers and staff when it issued a blanket gag order forbidding them from talking about the school name change in public or on their personal social media accounts. “Sometimes democracy is contentious, but that’s no reason to shut down debate on issues of public concern,” said Rebecca L. Robertson, legal & policy director for the ACLU of Texas. Wilson started a petition in June after seeing former Mayor Juliån Castro say on his Facebook page that the school's name should be changed. Her petition to rename the school after slain civil rights leader George W. Lee has drawn national attention. 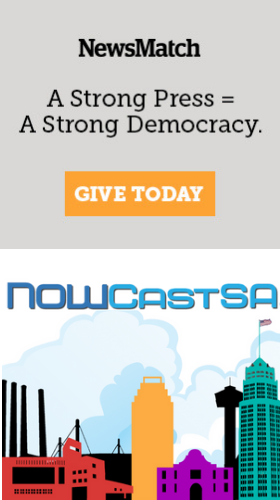 Click here to see the petition and watch NOWCastSA video of Wilson and San Antonio City Councilman Roberto Treviño talking about the issue. NEISD issued a memo July 27 “hereby directing that employees refrain from engaging in these communications regarding the naming of the school, or any related topics. The District understands that employees have First Amendment rights, but such rights must be balanced against the District's compelling interest in making sure there are no disruptions to its schools, and the law allows for limitation of District employees' speech when it causes any such disruption.” The memo specifically warned employees against “Internet postings, social media sites, and other electronic communications.” Scoll down to read the full memo. The ACLU’s Robertson said the NEISD directive goes too far. ”Although government employers like the school district can restrict what an employee says in her official capacity, school employees nevertheless retain the First Amendment right to speak as private citizens on matters of public concern,” Robertson said. “The school district’s professed interest in avoiding disruption must be weighed against the community’s interest in having a robust dialogue on the workings of its school district,” Robertson said. Some 500 NEISD teachers and support staff are represented by the American Federation of Teachers, which also takes issue with the directive. “We completely agree with the ACLU that this violates teachers' and support employees’ First Amendment rights,” said Tom Cummins, Executive Director of North East Federation of Teachers. “This memo covers everything from when employees are on the job to their free time to when they are at home. NEISD Spokeswman Aubrey Chancellor said the district stands by the memo. "The Supreme Court has ruled that if an entity can establish that there has been a disruption due to speech by a public employee, then the government employer can regulate that speech," Chancellor said in a statement. "The District has already sustained substantial disruption due to public comment regarding this issue on social media. We are simply trying to make sure that we minimize any further disruptions over this issue that could bleed over into the start of the new school year," she said. While I am a Robert E Lee graduate and father of a Lee athlete. I am concerned with the lack of updates for Ms. Wilsins petition. She has used the Confederate Flag mosaic since the start of this issue. But she fails to tell her supportes that that mosaic was removed from the campus on july 9th 2015. So many of her supporters might be mislead by the picture instead of the facts.